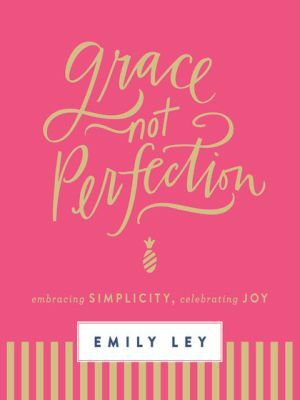 Emily Ley, creative director of the Emily Ley lifestyle brand and founder of The Simplified Planner, will publish her first book, Grace, Not Perfection: Embracing Simplicity, Celebrating Joy, with Thomas Nelson this fall. The October release will draw on Ley's popular blog, social media feeds and daily planner to inspire women to simplify, prioritize and allow the grace of God into their lives. 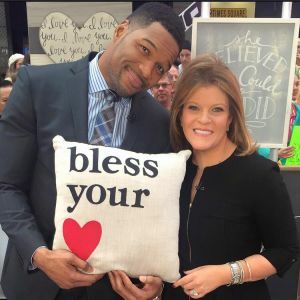 A variety of products from gift and home décor manufacturer Glory Haus were showcased Thursday, March 10, on the Deals and Steals Happy Home Goods segment on ABC's Good Morning America. The products featured during the national segment included selections from a new line of inspirational wood-framed boards and pillow designs handmade at Daughters of Hope, the company’s fair trade freedom factory in India that provides employment, training and hope to impoverished women. 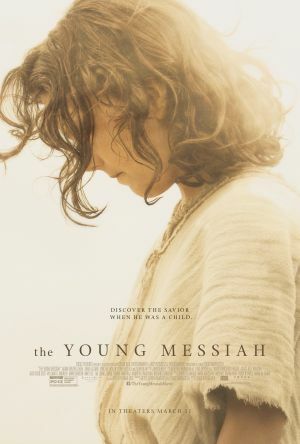 Focus Features' The Young Messiah grossed nearly $3.3 million over the weekend, landing seventh in theater box office receipts, according to boxofficemojo.com. The film opened March 11 in more than 1,700 theaters. Worthy Publishing has sold more than 340,000 copies of Dr. David Jeremiah’s The Jeremiah Study Bible: NKJV since its 2013 release. 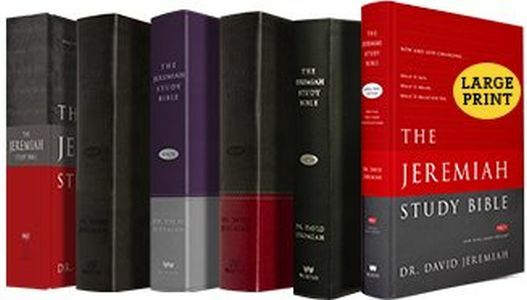 In light of the success of the New King James edition, Worthy plans to offer a New International Version (NIV) edition in November. 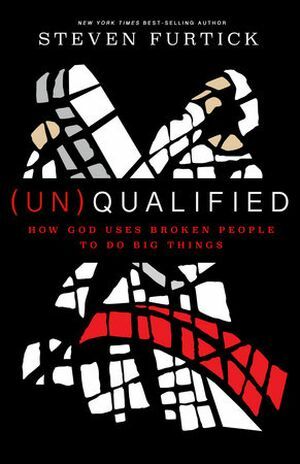 Steven Furtick’s new Multnomah book, (Un)Qualified: How God Uses Broken People to Do Big Things, has landed on several major best-seller lists in its debut week of sales. 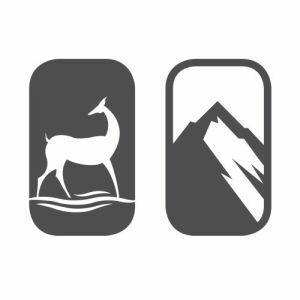 WaterBrook and Multnomah, imprints of Crown at Penguin Random House LLC, are taking steps to update their brand identities. The imprints are no longer presented as the WaterBrook Multnomah Publishing Group but are now being developed into two distinct imprint identities. Following a shift in company strategy, each imprint will now serve unique audiences within the church and publish in specific categories. WaterBrook Press will be called WaterBrook, and Multnomah Books will be referred to as Multnomah. The imprints also have relaunched their website with a mobile-friendly format, simplified navigation and fresh design. The updated look and enhanced content at waterbrookmultnomah.com will allow visitors to more easily interact with WaterBrook and Multnomah online and discover comprehensive information on each book title, including links to purchase from a variety of Christian and general market retailers. Ave Maria Press Editorial Director Robert Hamma plans to retire in July. 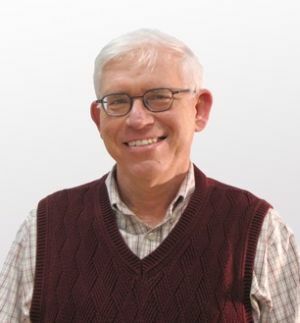 For 25 years, he has served Ave Maria, and prior to that, he was an editor at Paulist Press. Hamma learned the publishing business at Paulist, where he acquired and edited books, worked with RENEW and developed resources for RCIA (Rite of Christian Initiation of Adults) and college-level theology. In 1991, Frank Cunningham hired him as a book editor at Ave and editor of Spiritual Book Associates Book Club. In that role, Hamma also served as editor of Spiritual Book News. He was promoted to editorial director in 1996. Mardel is opening a new store at Greenwich Place, a 106-acre development in Wichita, Kansas. The new, 25,000-square-foot Mardel location is now under construction. "Barring any delays, we hope to open in the fall of 2016," said Bob Miller, communications coordinator with the chain, which has more than 30 locations in seven states. Greenwich Place also will have a Bed Bath and Beyond, DSW Shoes, World Market and BuyBuy Baby, according to the Wichita Eagle. Mardel has one other store in the state in Overland Park.